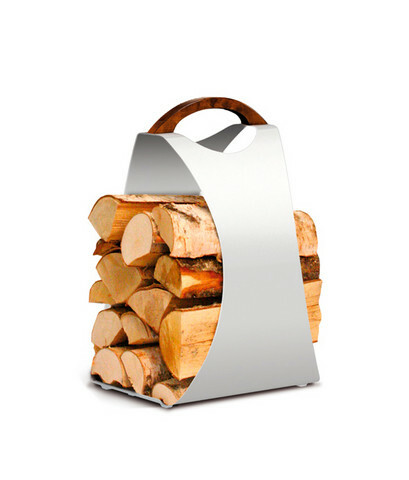 The AIKAdesign HALI wood carrier excites with its looks and undisputable functionality. The HALI wood carrier excites with its looks and undisputable functionality. It offers new design, reliability and practicality for day-to-day chores. The light and ergonomically designed HALI log carrier is a good fit for both large and small hands. 1. The carrier is available in glossy white (Pure White) and metallic black (Rock Black).